Many companies have started supplier development programme but it is mainly focused on strategic suppliers. In the last 25 years the number of Small and Medium Enterprises (SMEs) has increased by 50% and these are now responsible for more than half of all the jobs and contribute towards some 35% of gross domestic product (GDP); and the management theories and enterprise research that have been developed and applied to the corporate sector are difficult to replicate in small business, as SME’s are not large firms in miniature and hence are not simply the scaled-down version of large enterprises. Instead, SMEs always have special characteristics, operating contexts, objectives and qualities, which differentiate them from their larger counterparts and their business development management process is a very different affair. This makes any attempt to generalise the results of management research about some three million firms in the UK, very difficult. Similarly, the recent outsourcing trends have shown similar challenges and risks within the SME supply base in emerging countries. 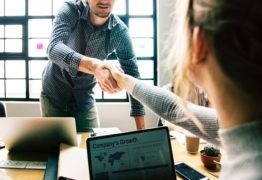 For some time, transfer of know-how to suppliers and strategic-advice from a large buying firm to an SME partner is an important supplier development programme. However, before buying companies start any supplier development programme with the SME supply base is important to realise that particular characteristics of SMEs require a different appreciation of management understanding and that the methods and techniques in the corporate sector or larger suppliers may not be applicable, relevant or valid. When buying firms decide to develop SME suppliers, strategically or reactively to foster ongoing improvement, they could focus on all, or a selective few, of the supplier development activities, for example: requiring supplier capability improvement; assisting suppliers in education and training of personnel; investment in supplier’s operations; and providing incentives for continuous improvement. To facilitate continuous improvement (CI) within the supply base, buying companies have been using established CI methodologies and tools that have been available for several years. The best known of these are the aforementioned: lean manufacturing, Six Sigma, Lean Six Sigma and the balanced scorecard. 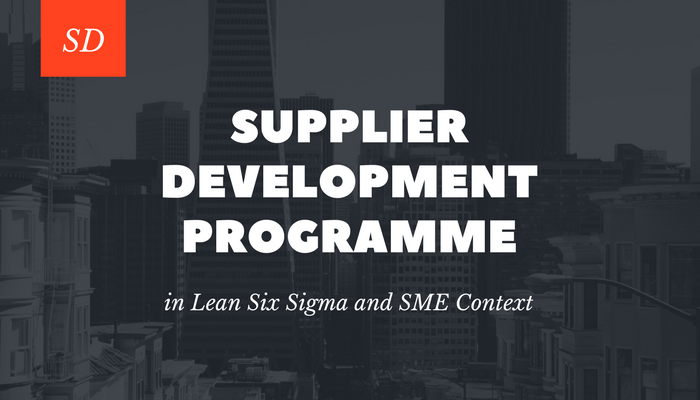 However, during my research literature review I have found only 9 articles that have discussed supplier development programme in the context of Lean Six Sigma and SME, which comes as surprise, and therefore calls for further in-depth study in this context. Few companies have used Six Sigma DMAIC methodology to improve the supplier development process in organisations; the findings are a mere application of Six Sigma to supply chain management (SCM) performance in the context of supplier development. Modi and Mobert (2007) presented the example that Toyota manages their operational knowledge transfer activities via the Toyota Supplier Support Centre (TSSC), which provides on-site assistance to help suppliers implement the Toyota Production Systems (TPS) and fix quality through joint problem-solving. 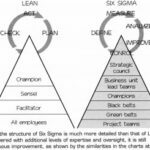 The authors have also enlisted knowledge transfer areas in this article showing usage of some lean and Six Sigma tools. Similarly, Sako (2004) conducted case studies in 3 leading automotive manufacturers, Honda, Nissan and Toyota, showing transfer of organisational capabilities in terms of knowledge and skill of Lean Six Sigma deployment from the customer to the supplier company, requiring not only financial and resource commitment, but also a distinctive organisational and governance structure that facilitates long-term cumulative learning. The main common features between the three manufacturers are: all three companies had invested considerable amounts of resources (50-80 supplier development engineers), encouraged multiple channels of learning with a more hands-on assistance for immediate tangible results with a broadening and deepening scope of supplier development programme. 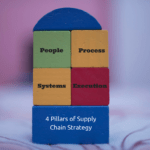 However, none of these case studies explains what proportion of resources have been dedicated by the supply base or whether it was mainly supplier development engineering from these 3 big companies driving and delivering the improvement initiatives. Both articles by Modi and Mobert (2007) and Sako (2004) show that Toyota also has the most systematic way of sharing and learning tacit knowledge by using Jishuken (self-study groups) in comparison to Honda and Nissan. 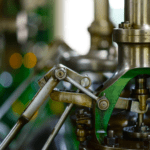 The authors also observe that the companies started with assistance in shop floor improvements, but activities extended to areas beyond the shop floor into product development processes and management systems over time. Emiliani (2000) also suggests to focus on improving suppliers’ operations by helping them understand and implement the fundamentals of lean production, which include 5S: total productive maintenance, set-up reduction, mistake-proofing, visual factory, standard work and cellular production. Emiliani also explained the benefits of lean production in relation to the suppliers’ own interest, such as reducing inventories, increasing cash flow, improving operating margins, marketing and competitiveness. One way to look at how lean management and six sigma can complement each other is comparing the strengths and weaknesses of both, as shown in Table 6, to understand their correlation with direct or indirect supplier development. The strengths and weakness mentioned in Table below, for both lean and six sigma, highlight the fact that both philosophies complement each other’s strengths and weaknesses, address process variation reduction, waste reduction, reduction in non-value added work and cycle time at the same time (Snee and Hoerl, 2007). Strengths – Focuses on improving the process by reducing defects and eliminating process variations through a well-structured data-driven methodology. – Creates link between tactical actions and strategic focus. For example, statistical techniques are used in a systematic way to reduce variation and improve processes, and there is a stronger focus on results, including customer needs. 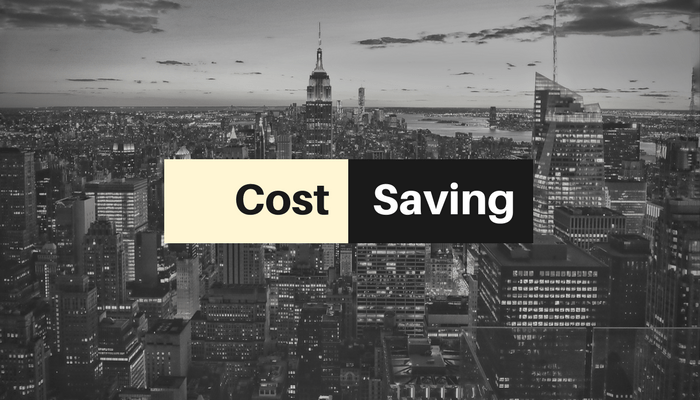 – Project will not be approved unless team determines the saving generated from it, hence focus on a bottom-line saving. – DMAIC methodology links tools and techniques in a sequential manner. – Comparatively simple deployment tools. 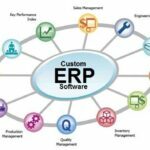 – Operational improvements: reduction of lead-time, increase in productivity, reduction in work-in-process inventory, etc. – Administrative improvements: reduction in order processing errors, streamlining of customer service functions so that customers are no longer placed on hold, etc. – Strategic improvements: reduced costs, etc. – Does not involve everybody. – Does not have a system view: the project is often executed in the project members’ department and normally leads to an improvement there, but due to the performed change another department can experience deterioration. – Does not have any statistical tools to control variations of the processes. – Organisation may become very susceptible to the impact of changes. – Reduced flexibility and less ability to react to new conditions and circumstances. – JIT deliveries cause congestion in the supply chain, leading to delays, pollution, shortage of workers, etc. – Not applicable to all industries. Quayle (2000) and Edmondson et al. (2008) reviewed the supplier development programme in a variety of sectors and suggest the rationale and rewards of supplier development programme for small firms. The authors argue that corporations should concentrate on small suppliers to aid economic regeneration and increase the number of world-class suppliers. 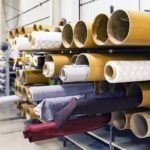 There is a need for small companies to recognize the benefits of supplier development programme rather than being suspicious of a buyer’s motives. A buying firm also needs to ensure a strong commitment to supplier development programme that develops the SME’s long-term capability rather than as a means of immediate results to strengthen the relationship between the SME and the large counterpart. Quayle (2002), Williams (2007) and Krause et al. (1999) presented key elements of supplier development programme in SMEs as: proactive customers and suppliers, commitment to long-term relationships, continuous improvement, creating learning opportunities that are appropriate to the smaller organisations and a win-win philosophy. In the USA based research, Krause et al. (1999) further identified that some buying firms used minority suppliers to satisfy official government statistics rather than for a genuine business reason. The common critical success factors (CSFs) for both Lean and Six Sigma implementation in SMEs outlined in research articles by Kumar (2007) are: leadership commitment and management involvement, organisational culture and resource, in terms of education and training. 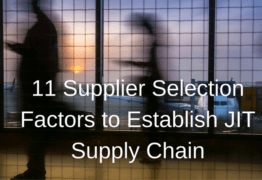 Question 1: What processes buying companies should adopt to systematically select and evaluate use of available CI methodologies to achieve the desired strategic or reactive supplier development goals as linked to supply chain strategy. Question 2: What approach buying companies should adopt for successful implantation of supplier development activities with SMEs that have a limited resource and financial budget for investment, especially in emerging countries. I would like to hear your views and ideas on how we can answer above questions? Supplier Development Framework- Latest Research in eBook. Buy Now! Modi, S.B. and Mabert, V.A. 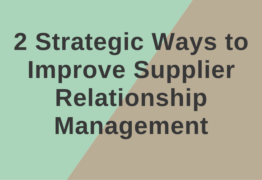 (2007), “Supplier Development: Improving supplier performance through knowledge transfer”, Journal of Operations Management, Vol. 25 No. 1, pp. 42-64. Sako, M. (2004), “Supplier development at Honda, Nissan and Toyota: comparative case studies of organisational capability enhancement”, Industrial and Corporate Change, Vol. 13 No. 2, pp. 281-308. Emiliani, M.L. (2000). “Supporting small business in their transition to lean production”, Supply Chain Management: An International Journal, Vol. 5 No.2, pp. 66-71. Snee, R.D. and. Hoerl, R.W. (2007), “Integrating Lean and Six Sigma—a Holistic Approach”, ASQ Six Sigma Forum Magazine, Vol. 6, No. 3, pp. 15-21. Quayle, M. (2000), “Supplier Development for UK Small and Medium-sized Enterprises”, Journal of Applied Management Studies, Vol. 9 No. 1, pp 117-133. Quayle, M. (2002), “Supplier Development and supply chain management in small and medium size enterprises”, International Journal of Technology Management, Vol. 23 No. 1/2/3, pp. 172-188. Williams, S. (2007), “A Supplier Development program: the SME experience”, Journal of Small Business and Enterprise Development, Vol. 14 No.1, pp. 93-104. I think it is critical to look at the organisational life stage when applying supplier development. I would agree that implementing Lean, but more so Six Sigma would take serious managerial resource capacity, which requires a trade-off that is not neccesarily required from larger companies. 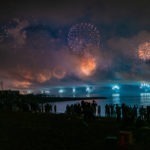 This article leads to some good thinking. Thank you. I agree with resource constraint part. It is an issue for both small and big organizations. Should only focus on strategic suppliers.